Birmingham City University in the UK has marked its global links formed over the last 175 years with an international event attended by senior leaders representing partner institutions from Egypt, India, Japan and Morocco. Hosted by Birmingham City University’s Vice-Chancellor, Professor Philip Plowden, the international visitors discussed potential areas of future collaboration, including staff and student exchanges. Among the distinguished guests, the networking event on Thursday 15 November welcomed Professor R. S. Bawa, Vice-Chancellor and Professor Rajan Sharma, Deputy Director from Chandigarh University in India, along with Professor Masaaki Suzuki, Deputy Vice-Chancellor, Egypt-Japan University of Science and Technology. As well as discussing areas of potential collaboration, the delegates enjoyed a concert in Birmingham City University’s Royal Birmingham Conservatoire – Now That’s What I Call 175! – which showcased iconic music created in and linked to the Midlands city from the past 175 years. The international event was part of a season marking 175 years since Birmingham City University’s foundation as the Birmingham Government School of Design in 1843, the forerunner to the present day schools of Art and Visual Communication. BCU 175 has been celebrated with special events and activities in and around the city since September, and will continue into 2019. In 1884 the School evolved into Birmingham College of Art, moving to a purpose-built Venetian Gothic building on Margaret Street designed by John Chamberlain. Today, Margaret Street still houses the University’s School of Art and is a Grade I Listed Building. 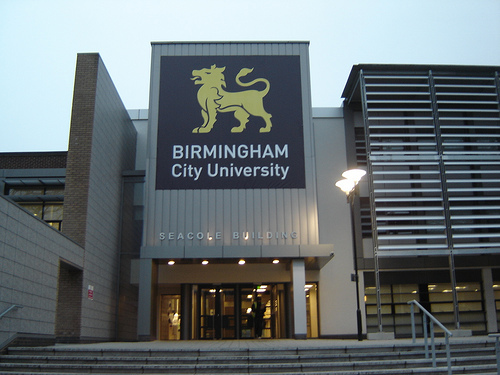 “Birmingham City University is proud of the strong international links the institution has nurtured since our infancy. Today our work around the world enhances research and teaching collaboration, while we strive to give our graduates the very best international career opportunities through study opportunities with our global partners.